It’s our business to comfort you. When we do our job, you’ll notice. You’ll feel exactly as you should feel: comfortable. Cook’s Heating and Cooling wants your home and business to have the highest quality HVAC system, keeping you happy year-round. Our success comes naturally to us because we care about our customers. We promise to treat you fairly, provide you with top quality products, and fulfill our promise with expert service provided 24 hours a day. We are accredited by the Better Business Bureau and members of the Business Network International. We are committed to providing the best possible business practices and customer service available on the market. Our service technicians provide expert services to match the quality of our top-of-the-line equipment. All of our technicians are highly trained to be familiar with your products. From maintenance services to parts replacement, our technicians aren’t satisfied until you are. We only carry top-of-the-line HVAC units. In fact, we are the only Amana dealer in the Winston-Salem area. We are a Diamond Dealer with Mitsubishi, Liberty Dealer with York, and a Goodcare Dealer with Goodman: ensuring you quality products and excellent service. Did you know even if your HVAC system seems to be in perfect working order, it could be working at low efficiency and running up your energy bill? With our Preventative Maintenance Programs, we’ll ensure that your HVAC unit is running properly, reducing energy consumption. At Cook’s Heating and Cooling, we service a variety of units to keep you comfortable year-round: Split systems, ductless mini splits, gas furnaces, oil furnaces, heat pumps, dual fuel, humidifiers, programmable thermostats, and air purifications. Cook’s Heating and Cooling, Inc. was established in 1985 by Mr. Farrell C. Cook. 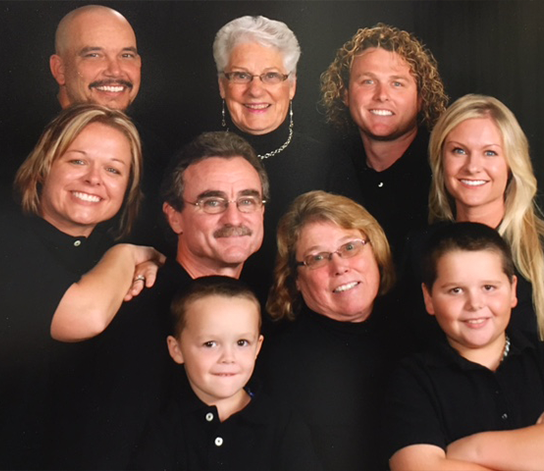 As a small, family owned business, we sincerely care about you as a customer. We provide expert, individualized care you just won’t get from a large chain HVAC company. Over our many years of service, Cook’s Heating and Cooling’s staff has gained invaluable knowledge through experience. Their expertise guarantees you, our customer, better service for better products. Cooks Heating and Cooling is a great company. They have come to our aid on numerous occasions as well as again today. They have always resolved any problem we had and when the time came for a new HVAC System they got what we needed for the great price. I can’t say enough about the whole company from the office staff, install and service techs. they all do a great job and treat their customers with the upmost respect and will do what is needed to get the Job done. I would recommend this company to everyone!!! They have saved us once again on a very hot day and got the AC working great; Thanks to all. Wonderful Company to work with. Cannot thank you guys enough for installing our new Hvac unit!!! Highly recommend working with Cook’s Heating and Cooling. Reach out to us for exceptional installation and maintenance on your HVAC unit. Cook’s Heating and Cooling will provide comfort in your home or workspace, guaranteed.